A summary recently conducted by Campaign for Loneliness purports to worrying figures when considering loneliness amongst the elderly. The research cited suggests 17% of the elderly are in contact with friends and family less than once a week and 11% are in contact less than once a month. In the same vein, 3.9 million elderly people, or two-fifths of the elderly population in the UK claim television is ‘main company’. Although it might be easy to lay the blame on the increasing difficulty of allocating time from busy daily business schedules to visit ageing relatives, this may point to a greater trend in the disassociation with an ageing population. Loneliness amongst the elderly is, socially, a bigger problem than a simple emotional experience. Social isolation and loneliness are proven to be harmful to our health: the lack of social connections as a risk factor for early death can be compared to smoking 15 cigarettes a day and can be worse than obesity and physical inactivity. If we can take the time to do this for ourselves then why wouldn’t we treat the elderly the same? Despite the trend, thanks to technological advancements amongst our information age, there are numerous ways in which we can keep in touch and up to date with our elderly loved ones. Our in-house marketing team has summed up the best ones below. ManDown: This handy app allows you to check-in on elderly relatives/friends at the tap of a button. The user-friendly interface and helpful notifications should appeal to the less tech-savvy amongst us. MindMe: This app is more relevant for dementia sufferers. It offers another way of staying in touch, while also sending alerts to the caregiver/family if the person moves outside of a pre-defined area. Tyze.com: This app offers a personal and encrypted network that connects people to the individual receiving care. It communicates with friends, family and caregivers primarily about the person you care about. The app offers a lot of functionality and can help schedule appointments, shares photos, files etc through a cloud-based platform. HealthVault: HealthVault comes from the makers of Microsoft and is another secure place for people to gather and share health information online, much like Tyze. FitBit: Wearable technology gaining a lot of momentum, Fitbit is a waterproof watch that can track steps, calories burned, distance travelled, and sleep patterns. Again, the data can be securely shared and monitored by friends and family. Skype: A very common and probably the easiest way to keep in touch. Offers free video calling with friends and family who also have the app, which is free to download and widely available internationally. 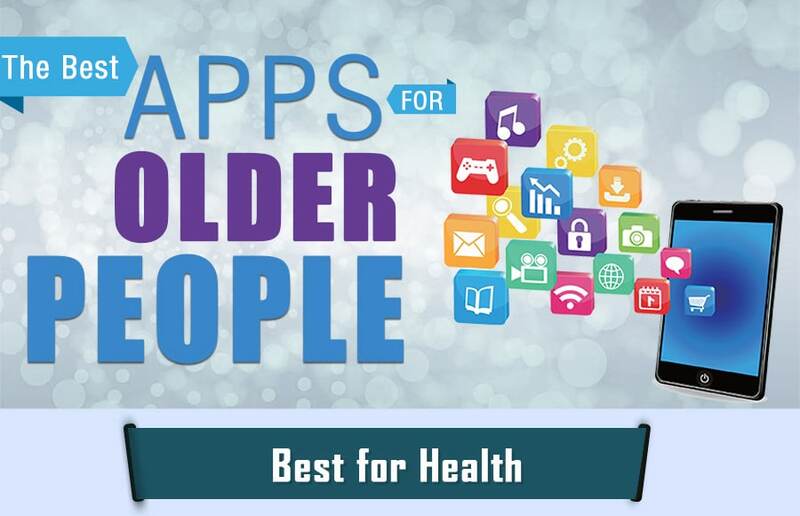 These apps are amongst the many that offer similar services and extend the possibility to communicate more regularly with your elderly loved one. The future will no doubt see further advancements, which gives you no excuse! Happy chatting.